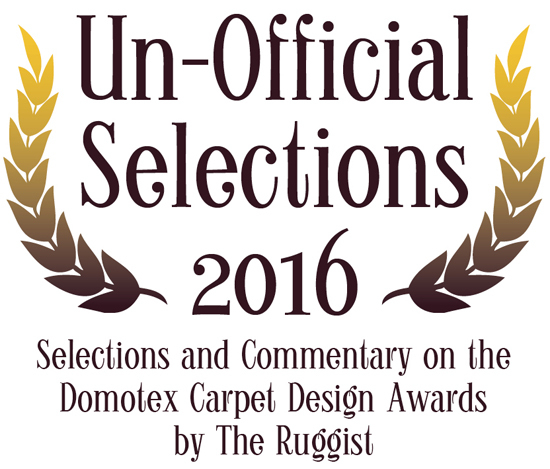 Domotex Carpet Design Awards 2016 Un-Official Selections! The Pantone Color Institute misses the mark with a juvenile decision. 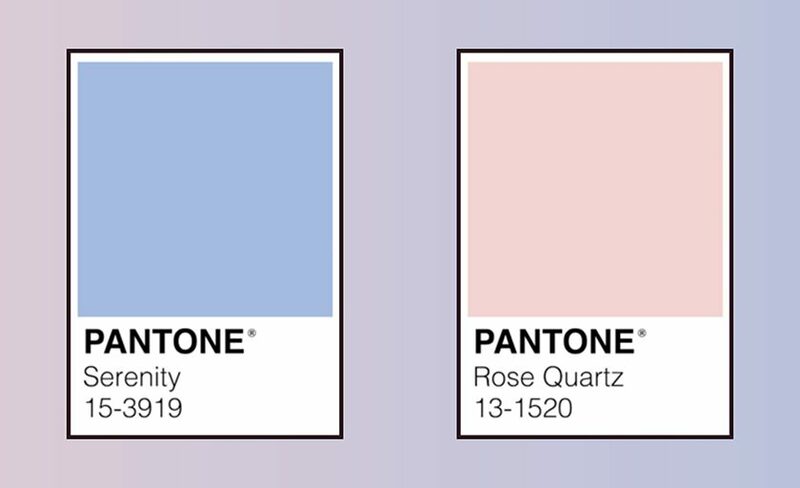 It was with great fanfare that Pantone announced: ‘For the first time, the blending of two shades – Rose Quartz and Serenity are chosen as the PANTONE Color of the Year’ for 2016. As has come to be expected there was an immediate flourish of social media and the subsequent announcement from industry insiders announcing their partnerships and ‘Color of the Year’ themed and coloured products. Sephora has introduced the ‘Sephora + Pantone Universe Color of the Year 2016’ makeup collection including Rose Quartz or Serenity coloured lipsticks. Perfect for those occasions when you cannot decide whether you want that healthy rosey glow or that ‘perhaps I should not have fallen through the ice and frozen to death’ tint on your lips, I say with no small degree of sarcasm. Kitchenaid was quick to announce that – thankfully – Color of the Year versions of their iconic stand mixer are available, though the Guava Glaze, a warm pink tone based on Rose Quartz (likely so named for certain reasons involving lame application of Copyright and Trademark laws), will not be available until summer 2016. Quelle horreur! To say that The Ruggist is underwhelmed by this selection and its seemingly apparent lemming like following would be an understatement. No Euphemisms, It’s a Knockoff! Too often when discussing what is and is not a knockoff a spade does not get called a spade. It’s frustratingly cliché, but it’s the rug industry. The later half of that sentence has been uttered innumerable times as justification of some archaic practice that while remaining perfectly entrenched in the rug industry is not quite at home in our current times. Some are egregiously out of touch, others quaint and endearing. It is, after all, the rug industry and we must accept it for what it is or so goes the conventional wisdom. The problems – seemingly infinite as they might be – occur when convention, tradition, and ‘because that is the way we’ve always done it’ meet the modern legal structure in which we have chosen to live. 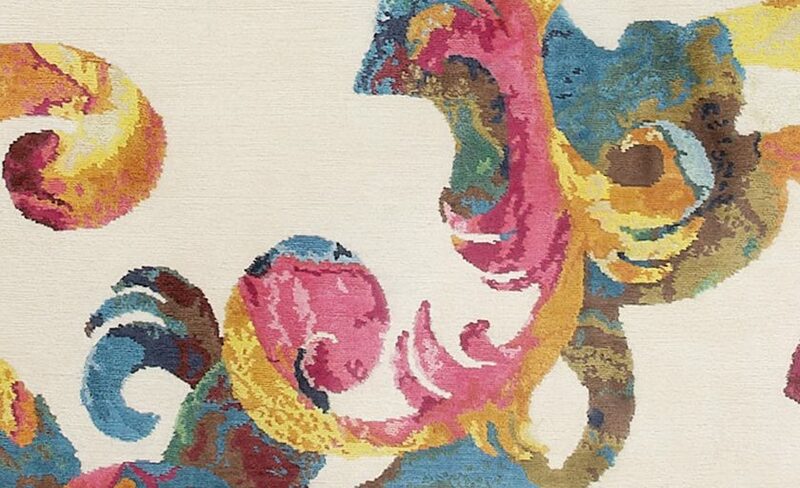 As previously discussed in nauseating detail and considerable length (both on The Ruggist and in COVER) the issue of Copyright in the rug industry is not the simple black or white issue many would have you believe. Even if it were black and white (or is that white and black? ), which hue of black and which hue of white are we discussing exactly? So many possibilities that we shan’t touch upon today; the position of The Ruggist is clear: Do not copy. Copy being – of course – a heavily nuanced word. It is however, the complete and utter lack of nuance that once again brings the issue of Copyright back to this electronic page. ‘Now everything is back to normal.’ are the words that remain vivid in my mind. They had been spoken by a Nepali carpet maker as we discussed the current situation in Nepal. A mere (4) months hence from The Great Quake of Nepal and everything is back to normal. Despite the somber loss of life, the destruction of sites historic and otherwise, and the untold problems currently facing those in Nepal, everything is normal. Normal. He is not entirely wrong. Everyday people get up and go about their lives, perhaps differently than they did prior to 25 April 2015 perhaps not, but living their lives none the less – including of course making carpets. It’s a simple reminder that while the toll – human and otherwise – may have been severe, it could have been far worse. For those now in Nepal, life must move forward, infrastructure must be repaired or rebuilt, work must continue. As we find ourselves at this arbitrarily defined anniversary of sorts we must now wade into a discussion of what role the carpet industry plays in genuinely helping the Nepali people rebuild their country by asking: are we the well intentioned partners we imagine ourselves to be or are we modern day carpetbaggers? 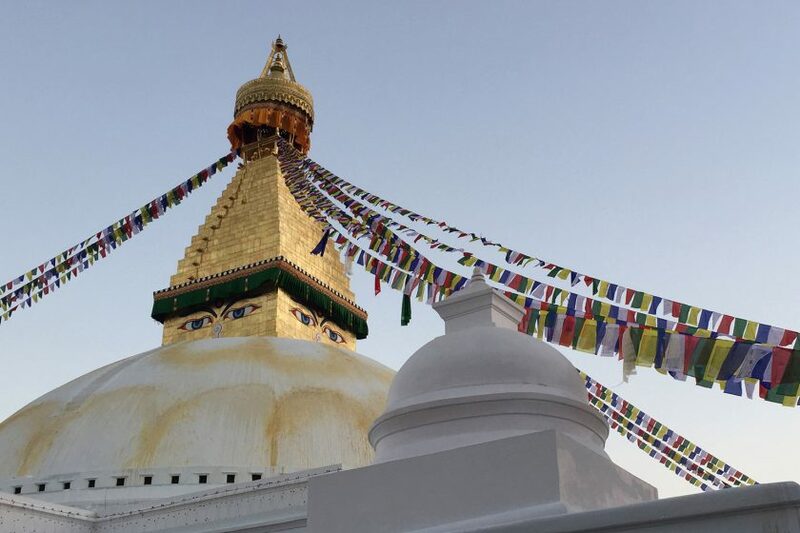 In the wake of a series of devastating earthquakes and aftershocks that have literally shaken the very foundation of Nepal, I find myself in an unfamiliar state of mind. Empathy has never been my redeeming quality, yet concern and anxiety occupy my thoughts of a people so far away, so impoverished, so disparate from my western life of relative comfort. How is it, that a Midwestern born, American expat living in rural New Brunswick, Canada can be so distressed about people he has never met? 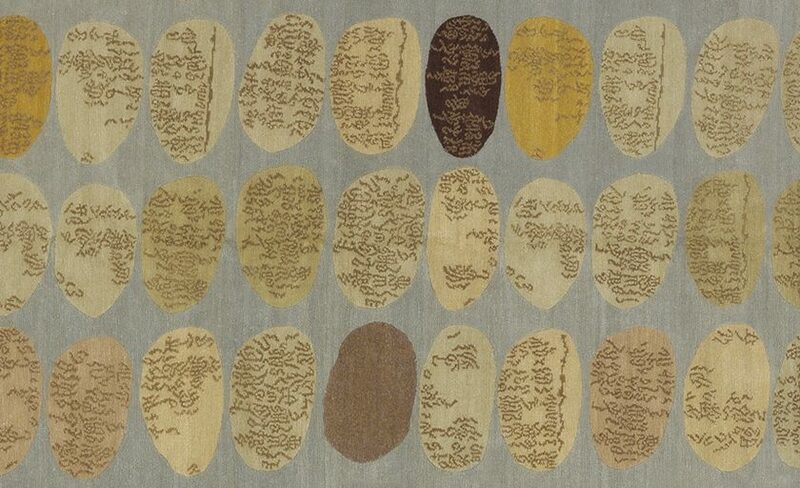 Grand philosophical reasons aside, the simple truth of the matter is that twenty (20) years ago fate and circumstance conspired as it were and I found myself at the beginning of a career, and a love affair, dedicated to modern handmade rugs and carpets and moreover to the best thereof. For those not as well versed, this includes what are arguably the very best carpets in the world: those made in Nepal. I’ve sold countless Nepali made rugs, I’ve written extensively on carpets both as an amateur and a professional, I’ve worked with some of the finest contemporary producers of carpets in the world, I own Nepali made rugs. But this isn’t about me. This is about Nepal and its people, the handmade carpet industry of Nepal, and how imperative it is that we all show real empathy for Nepal.